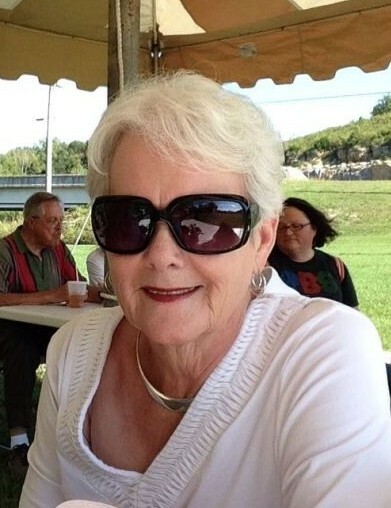 Faye Knox, age 76, of Readyville passed away Saturday, January 26, 2019 at Woodbury Health & Rehab. She was a native of Cannon Co. Survivors include her husband of 58 years, Willis Knox of Readyville; Children, Kim (Terry) Gannon of Woodbury and Joe Knox of Woodbury; Grandchildren, Todd (Tiffany) Gannon of Murfreesboro, Luke (Christy) Knox of Murfreesboro, and Alex Knox of Readyville; Brother, Joe Alexander of La Vergne; Mother-in-law, Alberta Knox of Woodbury; and Niece, Jana Alexander of La Vergne. She was preceded in death by her parents, Benton & Myrtle Howeth Alexander; Brother, Bobby Alexander; and grandson, Lincoln Knox Gannon. Faye was a member of the New Hope Church of Christ and was retired from the Bank of Commerce after 33 years. Funeral services will be 2 PM Wednesday, January 30, 2019 in the Chapel of Woodbury Funeral Home with Bro. Howard Knox, Jr. & Bro. Ralph Richardson officiating. Interment will follow at Thyatira Cemetery. Visitation with the family will be from 4 to 8 Tuesday, January 29, 2019. In lieu of flowers, donations may be made to the Alzheimer's Association, the Juvenile Diabetes Research Foundation, St. Jude Children's Research Hospital, New Hope Church of Christ, or the charity of your choice.